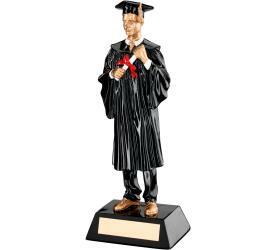 At Trophy Supermarket, we offer a range of trophies and awards for schools & universities. Whether you're looking for end-of-year presentation shields, sports day medals, or school badges, we're sure to have something you're looking for. Our school awards are available in a selection of medals, trophies, badges, cups and plaques. Select a category below to begin browsing our range of school awards.